There are few teams at any level of collegiate soccer that can lose seven starters, four of whom were named to an All-ACC team last season, and still be ranked No. 4 in the country the very next season. Such is the case though with the Maryland Terrapins, who need to replace players who combined to score 32 of the team’s 61 goals last season (52.5 percent). The Terps return a mostly young and talented group of players highlighted by All-ACC senior forward Casey Townsend, 2010 ACC Freshman of the Year forward Patrick Mullins and defensive stalwarts Taylor Kemp and Alex Lee. Head coach Sasho Cirovski, entering his 19th season at Maryland, said his program, which has been to five College Cups and won two National Championships in the last nine years, has not lowered the bar with what they expect to achieve this season, even with a much different-looking squad this year compared to the team that bowed out to Michigan in the quarterfinals of the NCAA Tournament last season. The Terps have set the bar for success in the program high, but they certainly have an impressive list of players who played smaller roles last year and will have the opportunity to see increased playing time and responsibility on the pitch in 2011. Some of those players figure to be midfielders John Stertzer (two goals and two assists in 21 games last season), Kaoru Forbess (three goals in 21 games last season), Helge Leikvang (one goal and one assist in 18 games last season), forward Matt Oduaran (one goal and one assist in 15 games last season) and defender London Woodberry (one goal and three assists in 14 games last season). Cirovski said that two players who redshirted due to injury last season, midfielder Widner Saint Cyr and forward Jordan Cyrus, will also play more prominent roles this season now that they are healthy. They will be joined by a skilled freshman class that features goalkeeper Jordan Tatum, American U-18 National Team goalie Keith Cardona, Canadian U-17 National Team defender Parker Seymour and three College Soccer News top-35 recruits in defender Kyle Roach (No. 34) and midfielders Dan Metzger (No. 29) and Alex Shinsky (No. 2, No. 1 recruit according toTopDrawerSoccer.com). The incoming freshman class and crop of returning players give Cirovski the most flexibility to mix-and-match in the midfield. However, it may be a player who did not play a single minute last year who has the greatest impact on Maryland’s season. 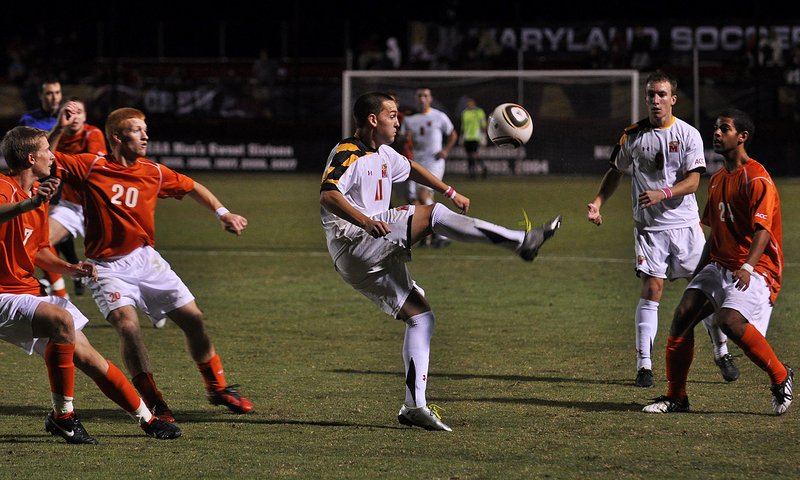 Will Swaim started 20 games in goal for Maryland from 2007 through 2009 before redshirting in 2010. 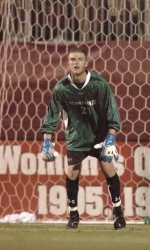 Cirovski said he is the frontrunner to start at goalie for the team’s first regular season match on August 26 against St. John’s, a rematch of the double-overtime College Cup semifinal thriller in 2008 (a 1-0 Terps victory). His decision to return to College Park for a fifth year provides Maryland with an experienced keeper who knows the rigors of playing a full season in college soccer’s toughest conference. Cirovski said that while Swaim will split time this season in net with Cardona and Tatum, his biggest concern right now at the position was getting Swaim back up to full speed after redshirting last season. Despite the unusually large number of new players who will be stepping into unfamiliar roles that come with a lot of responsibility this season, Cirovski said the team’s leadership, coming from many different sources, and ability to come together as one so far has been very impressive to see. That respect and combined leadership should be crucial for a team that could struggle at times as they wait to gel and get in sync with one another. A number of new players in the lineup could lead to some growing pains at times as the players get used to each other’s tendencies on the pitch. However, once they find that chemistry that can only grow with time, the Terps should continue to improve as the season goes along. There will be seven new starters in the lineup, but Maryland has a number of talented players who will get the first opportunity of their collegiate careers to make major contributions to the club this year. Even with a much-different looking team than last year, the goal is still the same. The Terps think they are just as good as any other team in the country. This entry was posted on August 20, 2011 by Scott Kornberg. 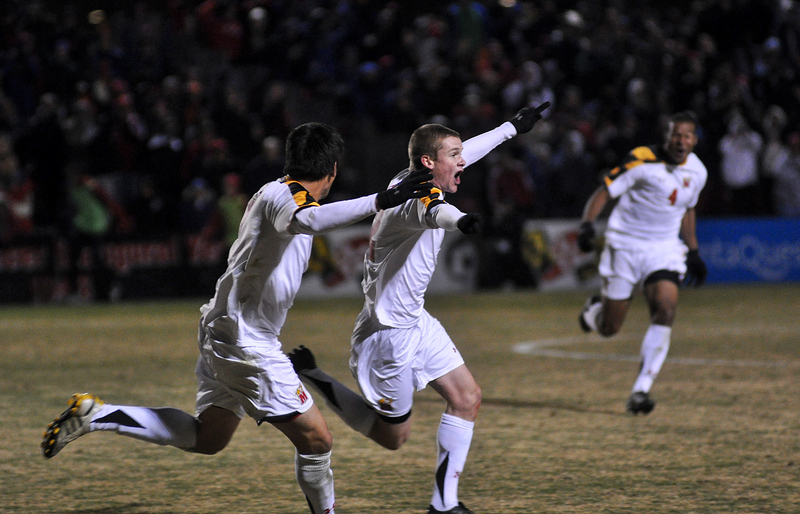 It was filed under Maryland Terrapins, Soccer and was tagged with ACC, Alex Lee, Alex Shinsky, Casey Townsend, College soccer, Dan Metzger, Helge Leikvang, John Stertzer, Jordan Cyrus, Jordan Tatum, Kaoru Forbess, Keith Cardona, Kyle Roach, London Woodberry, Maryland, Maryland soccer, Maryland Terps, Maryland Terps soccer, Maryland Terrapins, Maryland Terrapins soccer, Matt Oduaran, Parker Seymour, Patrick Mullins, Sasho Cirovski, Scott Kornberg, Taylor Kemp, Terps, Terps soccer, Terrapins, Terrapins soccer, Widner Saint Cyr, Will Swaim, Zac MacMath.